Angela Fuentes is based in Cochabamba, Bolivia a member of the group Mujeres de Fuego. 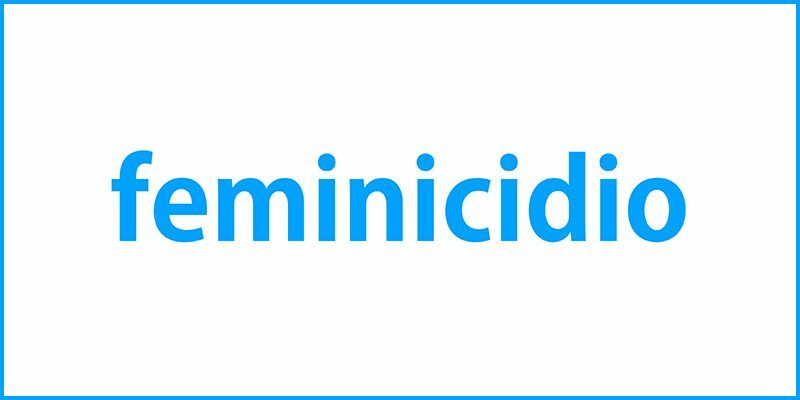 The following is Angela's comments about the word cloud for the term “feminicidio” (feminicide). [In the word cloud], the correct words that should be used to explain feminicide and that fall within Bolivian law should be that in a feminicide there was justice without delay, that a sentence was granted, a correct sentence, valuing the material truth and the investigation that identified the feminicide. [I would like to see that] priority attention was given, rights were respected as part of the law, and protection and reparation to the family was guaranteed. That civil society joined in avoiding corruption and demonstrated the specialization of judges to judge from a gender perspective. Those are the correct words that should be in the media and not the other way around – the words at the bottom should be at the top. Some of the words that should be linked to feminicide should be ‘justice’ and ‘sentence’.